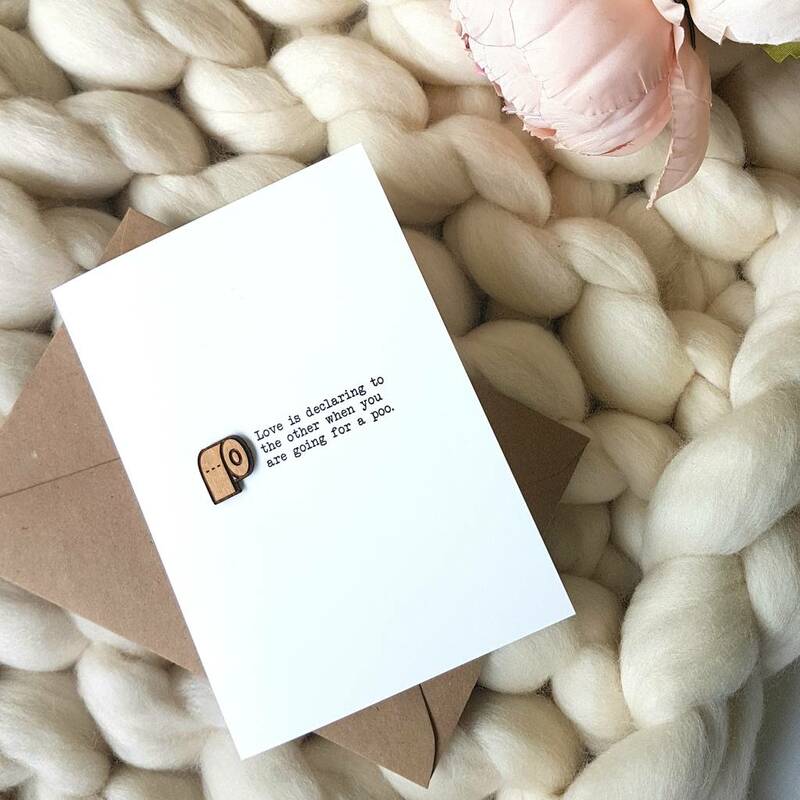 A funny yet stunning card perfect for your other half on their birthday, Anniversary or even for Valentines day! 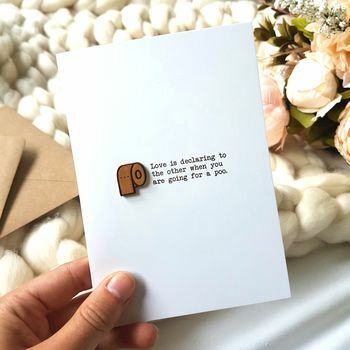 These stunning greetings cards are the perfect gift for birthdays, anniversaries, especially your wooden - fifth year wedding anniversary! The wooden pieces are laser cut from the highest quality natural wood and sits on a silk finish white card, a beautiful contrast. 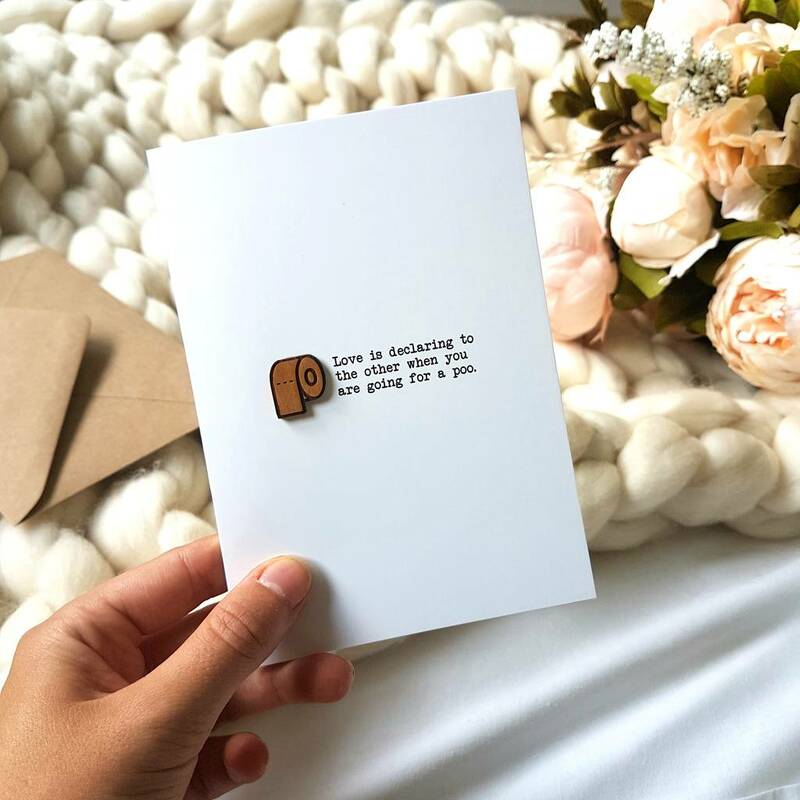 All cards are printed with blank inners so they can be used for many occasions and have plenty of space for you to write your own personal messages. Each card is printed on high quality white silk card with wooden detailing and presented in celophane complete with kraft brown envelope.